Who Is The New Mysterious Star Wars Character Tasu Leech??! Lego are continuing to spoil us with their awesome Star Wars merchandise, and in the run up The Force Awakens, have released some new models. While that isn't all that special in and of itself, what is so special is that their latest piece of kit has revealed a new mysterious character that would appear to be part of The Force Awakens cast. 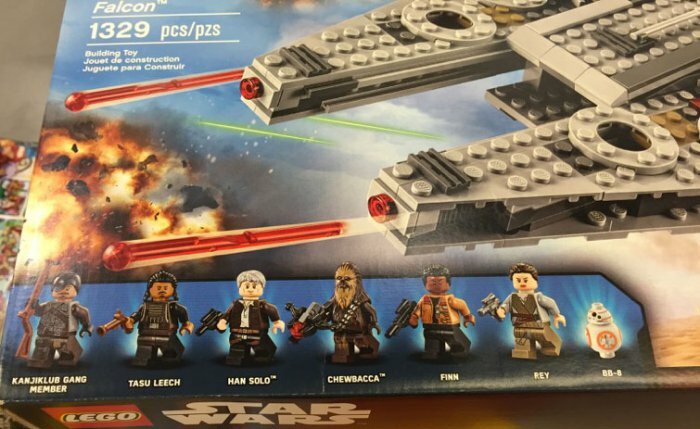 Tasu Leech is one of the mini figures included in this new Millenium Falcon set, and as you can see from the way the figures are lined up on the bottom - good guys seem to be on the right - speculation is rife that he is a new villain in the movie that will have some part to play on or around the Millenium Falcon. There's also a character just referred to as KanjiKlub Gang Member, a faction we know nothing about so far in the wider Star Wars universe. Does this mean that Tasu Leech is the leader of this gang? No idea so far, but it's pretty cool to speculate. As far as the look of the character goes, he would seem to be an ideal match for Yayan Ruhian from The Raid, who is yet to be credited for whatever part he is playing in the movie. For now all we have is some guesswork to wonder what part the character might play in the movie, but if Abrams is looking to create an iconic villain that fanboys hold with the same sort of affection as the likes of Boba Fett, he could do a whole lot worse than Ruhian and a badass named Tasu Leech! 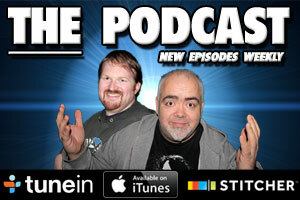 The Movie Bit: Who Is The New Mysterious Star Wars Character Tasu Leech?? !